Back in June of 2017, after watching YouTube videos about Bitcoin for a couple of years, and thinking about buying some Bitcoin for as long, I signed up for a Coinbase account and bought $100 worth of the cryptocurrency. The per-coin price at that time was $2,717.52. So, my $100 purchase bought me 0.03679826 of a Bitcoin. It was simple to do. I should have done it sooner. I bought more Bitcoin over the next couple of months. In early November, the price of one Bitcoin had spiked up to $7,500 and I sold. In mid November, when the price dropped to $6,400 I bought again. When the price jumped up to $16,000 in early December, I sold it all. It was an exciting time. Amazingly, I had managed to "time the market" (so to speak). It was the easiest money I've ever made in my life. It helped offset another down year with my Planet Whizbang mail-order business. Needless to say, I'm a believer in the whole concept of decentralized, open source, distributed-ledger cryptocurrency. I'm persuaded that it is here to stay. It is the future of money. The transition is now underway. My initial concern with cryptocurrencies was the one-world-government, cashless society dangers inherent in such technology. That is a possibility, but it is not a certainty. A true, decentralized, open-source crypto can not be taken over or totally stopped by any government or banking entity. The technology is incredibly resilient. The powers-that-be (big banks and government, working together) will try to co-opt the distributed-ledger technology to maintain (and increase) their rapacious economic feudalism over everyone, but it remains to be seen if they will succeed. Mike Maloney talks about this aspect in Will Cryptos Free or Enslave Mankind? My point with this post is simply to present my own personal interest in this topic. I believe in diversification of investments. It's an agrarian concept—don't put all your eggs in one basket. Cryptos are a speculative investment outside the legacy economic system. I need to make it clear that I am NOT recommending that anyone reading this should invest in cryptocurrencies. What I recommend is that, if you have an interest in this subject, you do your own research and come to your own conclusions. You might start with this documentary: From Bitcoin to Hashgraph. And many of the YouTube videos by Andreas Antonopolis are excellent tutorials. 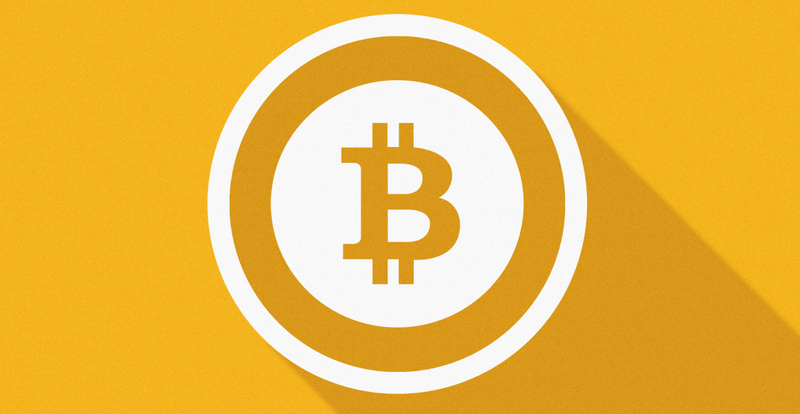 Did you get any help from Martin Armstrong's Blog to time the Bitcoin market so? I still read that Blog daily, and am thinking it might be time to buy his basic Socrates package. No, I wasn't tapped in to Martin Armstrong's advice. I have not read or listened to him for a long time now. I used to get e-mail notices when he posted a blog, but don't any more. I'll have to go and see if I can get that going again, as I did find his perspective insightful. I was really tapped into the whole crypto scene last year and went on gut feelings about buying and selling. Bitcoin topped at $20,000, but I have no regrets about getting out when I did. I think there will be a lot more upside in the coming months and years. Thanks for the insight. I've been thinking about this for a while. Don't know if you are familiar with with the work of Charles Hugh Smith. He's written some compelling work on the use of decentralized Cryptocurrencies. Just finished his book - A Radically Beneficial World: Automation, Technology and Creating Jobs for All: The Future Belongs to Work That Is Meaningful, which I thought was pretty insightful. Basically his best points are on using crypto locally and tying new 'money' directly to labor and the fruits thereof, as an alternative to centralized currency. Still lots of work I think needs to be done on how to trade between local crypto and tangible assets outside the local domain. I also like what the guys at normeconomics.com have to say about tying money creation to the direct creation of products and harvesting of raw materials. I also tend to think that local crypto is one way to break the stranglehold of the central banks. Thanks as well for spinning this blog back up. I have enjoyed your writing for some time, as well as the ability to live out my 'inner-farmer' through reading blogs like yours. Yes, I've listened to Charles Hugh Smith, and I bought one of his books a couple years back. Cryptos can be used person-to-person, just like cash, outside of the "system," and that is a very liberating thing. There is a whole new economic paradigm now emerging. No one knows how it will play out, but a lot of good thinking is going into the possibilities. I'll have to stop by his Of Two Minds site and see what's new there. And I'll check out the other web site you mention. Many thanks! Hey everyone. I am no longer blogging here. I have moved to The Deliberate American. Click on my nose to get to the new blog. Copyright, Herrick Kimball 2018. Awesome Inc. theme. Powered by Blogger.